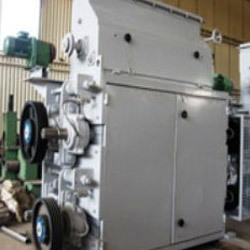 We offer a wide range of preparation machines and plants for oil mill industries. These plants are installed, where seeds are properly cleaned into seed cleaner to remove unwanted material like dust, leafs, steins etc. 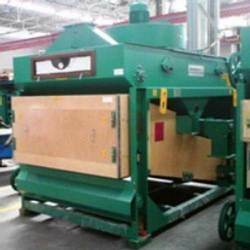 The removal of unwanted material increases the life of machines & reduces the down time. We offer machines for all the processes involved in preparation of seeds for oiling. 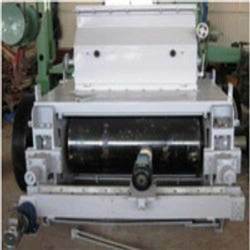 The machines offered by us are fabricated with good quality raw materials. Some of the machines offered by us for the following processes include seed cleaning, cracker, conditioning / cooking, flaker, expander, huller shaker, hull & seed separator, double drum hull beater, hammer mill and others. Most seeds have tough oil bearing cellular structure which has to be ruptured or weakened prior to cooking and extraction. Flaker Machine are normally used to increase the capacity of Expeller as well it reduces the wear & tear of the Expeller machines. Oilseed Cracker Machine to break the seed into quarter and eight sized pieces comprising of carbon steel frame, cast alloy rolls double strand. Rolls two (2) v- belts drive motor & diverter gate. Hinge-mounted permanent magnet. To correctly cook and condition the material prior to flaker. Vertical, multi-stage unit with fabricated shell and trays where heating is carried out by indirect steam. The gates operated by mechanical level system automatically control the flow of material and the level in each stage. A central shaft driven by a gearbox carried agitator blades to ensure a good mix, a homogenous treatment of the material and prevents burning on the stage bottoms. a vertical duct extracts exhaust vapors from each stage. Provision is made to adjust final moisture levels of the material by injecting water or direct steam. 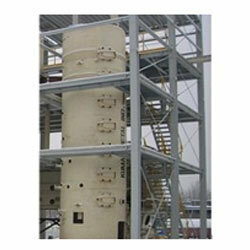 Looking for Oil Mill Plants ?